Spanish darts ace Jacinto Nieto Molinero has renewed his sponsorship agreement with Winmau, the world’s leading darts brand, for a further two years the company announced today. 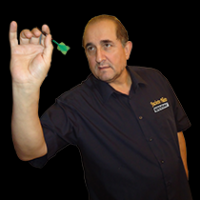 A part of Team Winmau since 2014, he has enjoyed huge success on the softip tour for nearly quarter of a century. In the last two years he has added a number of singles and doubles titles including the Copa Andalucia. Despite taking up the steeltip game relatively recently, he also added the Spanish National Championships title to his list of achievements and will compete in this year’s Winmau World Masters. As a member of Team Winmau, Jacinto will continue to represent the company and its Spanish distributor, Manuel Gil, at tournaments around the world. He will also contribute to the development of world-class darts equipment.